Even when we were kids, my brother Ravi was known more as the artist than I was. I sucked at any sort of visual medium and art in general. I’ve always needed some king of boundary or guideline. The infinite realm of possibilities was always overwhelming and stopped me before I started. 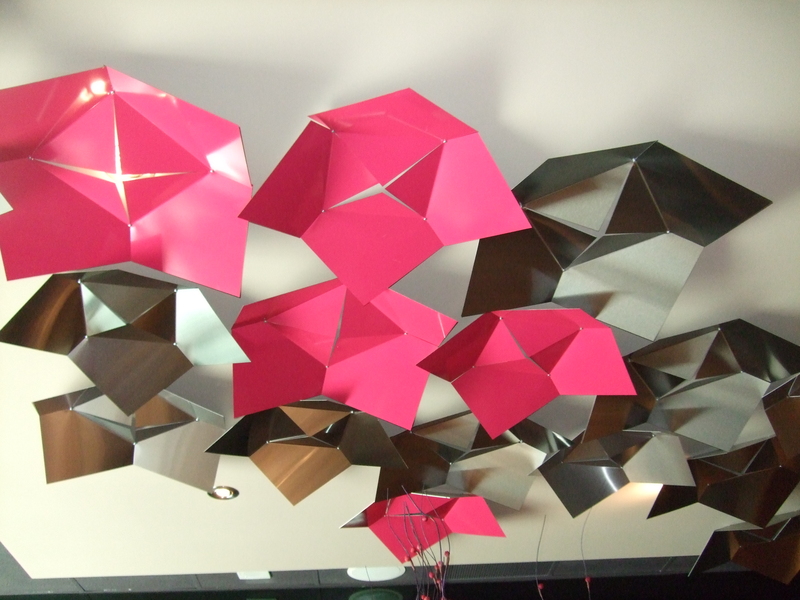 Ravi became interested in origami paper because of the patterns on a similar shape (squares). He didn’t want to make shapes or fold it, he just wanted to look at all the designs and colours. Inside the packages of paper were instructions that showed how to fold the paper correctly. It was perfect! Specific instructions and a definite right and wrong way of doing it. 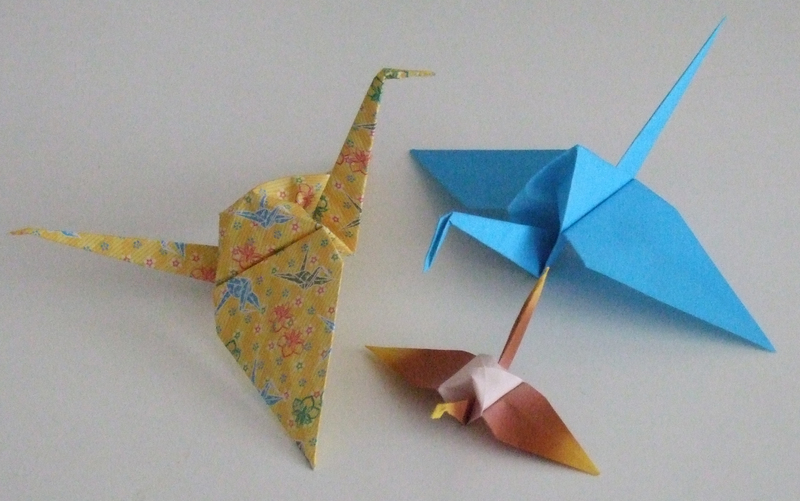 I began with one of the most common ones, the Japanese Crane. I practiced it, bought books on it and became quite good at it. I could do it with my eyes closed…literally. Then I turned to something my mother swears she knew when I was 12: Teaching. This was really the first teaching gig I got and I was 16 years old at my local rec centre. I made a proposal to the advisory council for a new course. I taught a full class for two years and it always had a waiting list. When the budgets were being cut and there was a chance the class would be ditched, we did an “Origami-a-thon” and an “Origami Auction” to raise the money. 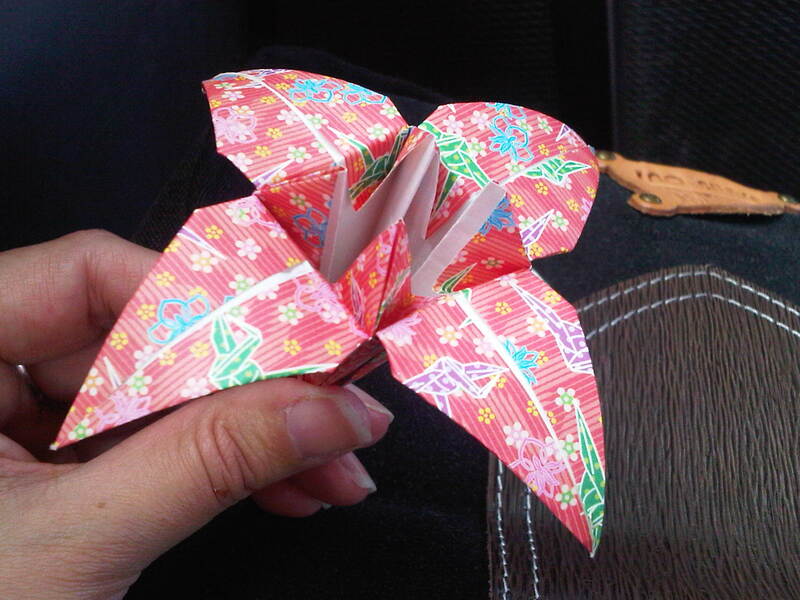 We raised more than enought to keep the program for another term and take an outing to the The Japanese Paper Place. This is how I got my start. Next time, I’ll talk about my masterpiece. Stay tuned! UPDATE: Just decided to add this photo with the cranes. A few that I had sitting around the house.